I received this interesting tidbit in my email today, and thought I’d share it with the world on my website. It’s a very interesting idea that speaks volumes for my insistence on the importance of eating whole foods. I do not know the origin of this piece and most of its images. “You are what you eat, so eat well.” A stupendous insight of civilizations past has now been confirmed by today’s investigative, nutritional sciences. They have shown that what was once called ‘The Doctrine of Signatures’ was astoundingly correct. It now contends that every whole food has a pattern that resembles a body organ or physiological function and that this pattern acts as a signal or sign as to the benefit the food provides the eater. Here is just a short list of examples of Whole Food Signatures. Celery, Bok Choy, Rhubarb and more look just like bones. These foods specifically target bone strength. Bones are 23% sodium and these foods are 23% sodium. If you don’t have enough sodium in your diet the body pulls it from the bones, making them weak. 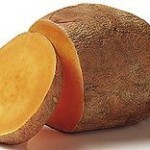 These foods replenish the skeletal needs of the body. Eggplant, Avocados and Pears target the health and function of the womb and cervix of the female – they look just like these organs. Today’s research shows that when a woman eats 1 avocado a week, it balances hormones, sheds unwanted birth weight and prevents cervical cancers. And how profound is this? …. It takes exactly 9 months to grow an avocado from blossom to ripened fruit. There are over 14,000 photolytic chemical constituents of nutrition in each one of these foods (modern science has only studied and named about 141 of them). 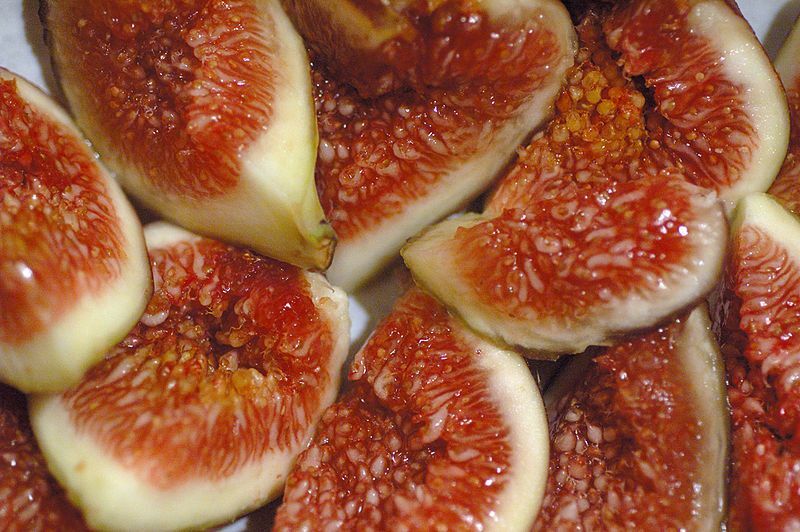 Figs are full of seeds and hang in twos when they grow. 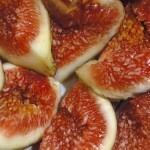 Figs increase the motility of male sperm and increase the numbers of sperm as well, to overcome male sterility. 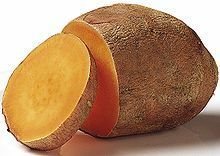 Sweet Potatoes look like the pancreas and actually balance the [pancreas’s response to the] glycemic index of [foods for] diabetics. Onions look like body cells. Today’s research shows that onions help clear waste materials from all of the body cells They even produce tears which wash the epithelial layers of the eyes.